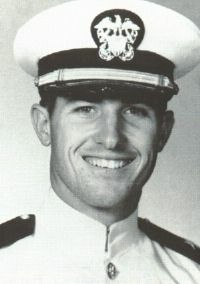 USS BREWTON was named after LTJG John Cooke "Bubba" Brewton, who served two tours in Vietnam as a Navy SEAL. John Brewton was wounded in action on November 24, 1969, and later died of those wounds on January 11, 1970. His bravery under fire reflected the highest traditions of the United States Navy. Click Here to learn more about John Brewton, and the sacrifice that he made for his country. The following pages contain accounts of the life and death of John C. "Bubba" Brewton in the words of the men who knew him best, his SEAL teammates and his friends. They provide incredible insight into the world of a man who died serving his country before many of the people in today's armed forces were born. It is important to remember good men. Special thanks to the members of SEAL Team Two, whose memories and experiences provide a powerful and lasting tribute to this true American Hero. Robert P. "Doc" Clark, et al.